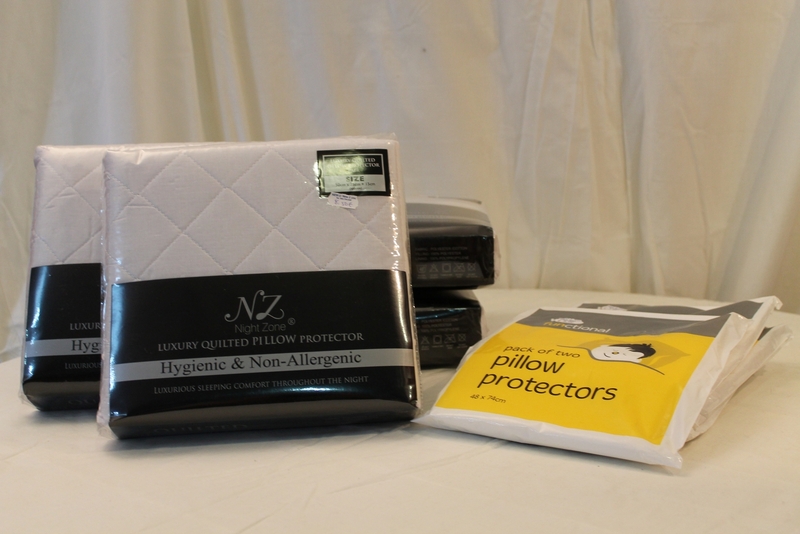 Pillow Protectors – British size approx. 50x75cm. Luxury quilting on both sides and an envelope closer. Hygienic and non-allogenic, machine washable. Pack of 2 €8.50. Basic Pillow Protectors - size approx 50x75. Machine washable. Pack of 2 €3.